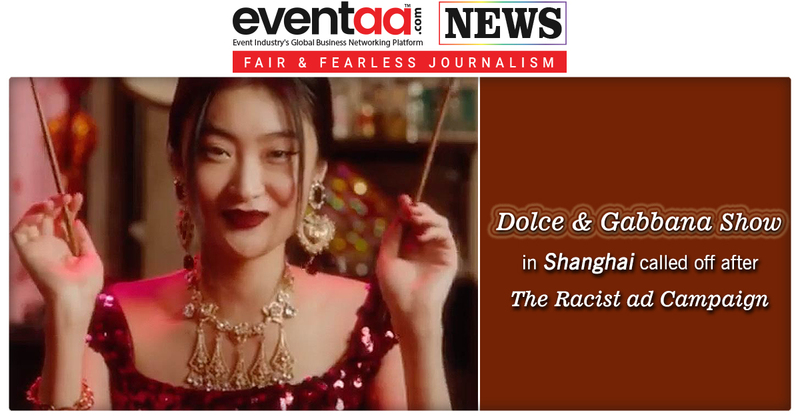 The first fashion show of Italian fashion house Dolce & Gabbana in Shanghai was cancelled by Cultural and Tourism department of China in the wake of controversy around an allegedly racist ad campaign. 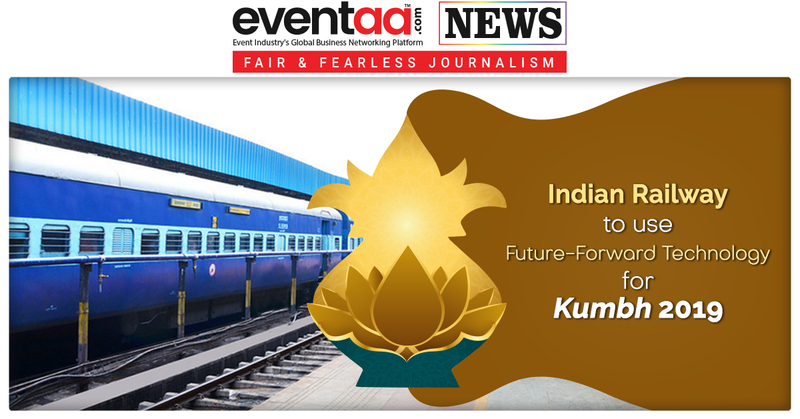 The show was scheduled to take place on 21 November. The latest ad campaign of Dolce & Gabbana was accused of being racist and furthering stereotypes associated with China and its people. The Chinese authorities pulled the plug on the show, hours before it was to start. After the cancellation, private messages of the co-founder Stefano Gabbana reportedly making derogatory remarks about Chinese culture also surfaced online. 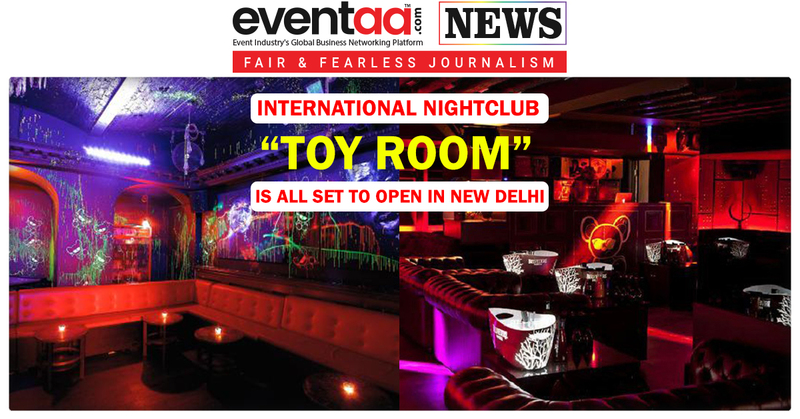 According to the media reports, the brand runs a series of ads on social media, to publicise the show. 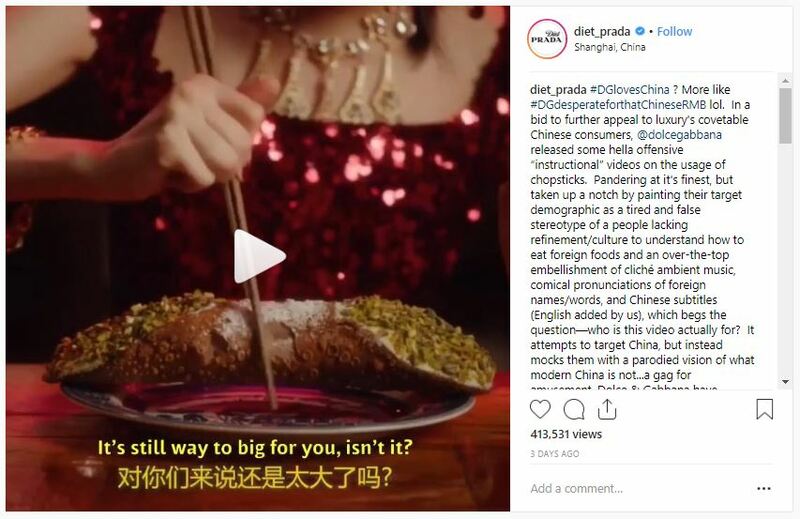 The campaign video featured Chinese model attempting to eat Italian food with chopsticks. Many viewers found the ad patronising and offensive, some even uploading subtitled versions of the films to make it comprehensible to a wider audience. The video was taken down within 24 hours, but has been shared widely over social media. ‘Boycott Dolce’ has since been mentioned more than 18,000 times on the platform. The users also demanded an apology. 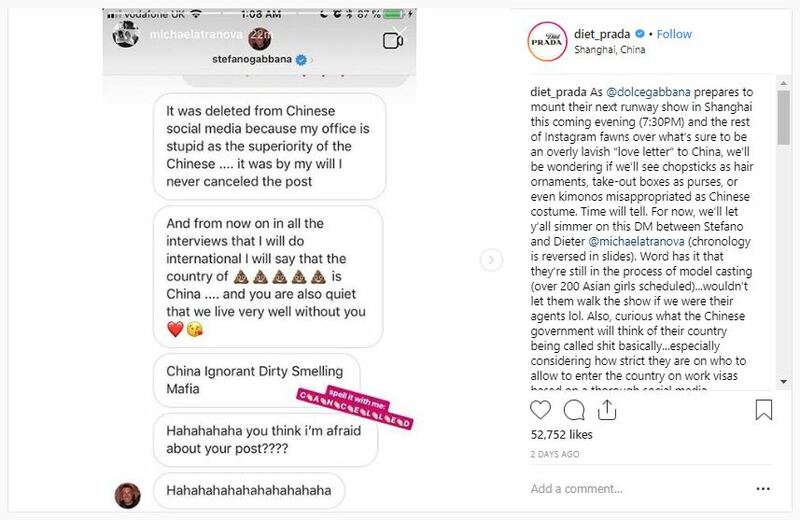 To make matters worse, a user on Instagram named michaelatranova had a conversation, apparently with Stefano Gabanna himself, who used highly inappropriate language and imagery to describe China. 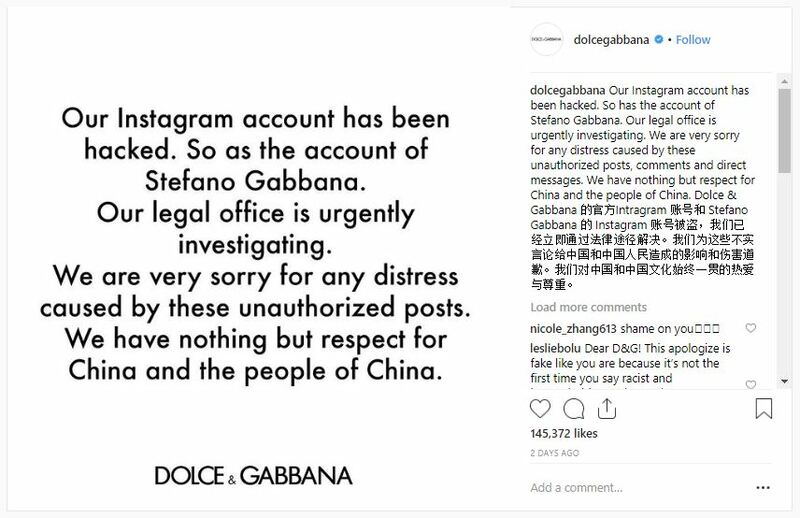 Dolce & Gabanna put up a post claiming its Instagram handle and that of Stefano Gabanna had been hacked. 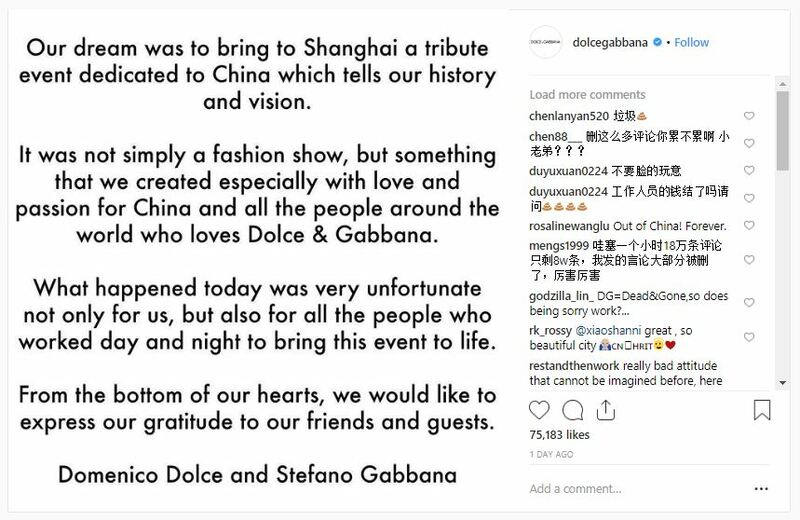 In another statement, the label said that the now-cancelled Shanghai fashion show was "something that we created especially with love and passion for China and all the people around the world who love Dolce & Gabbana …What happened today was very unfortunate not only for us but also for all the people who worked day and night to bring this event to life."